THE NEXT LEVEL MASTERMIND IS NOW OPEN FOR ENROLLMENT! I work with soulpreneurs and creatives who love cookies (g-free, duh) but haaaate cookie cutters. They are so damn ready to experience their next level of prosperity, self-expression, and fulfillment on THEIR terms—aka without sacrificing their purpose, passions, and priorities in the process. Buuut they aren't 100% sure it's possible for them. By using a unique blend of NLP, EFT, Hypnosis, and personalized business strategies I help them overcome self-sabotage and re-code their mind, body, soul, and energy so they elevate their frequency to attract and sustain what they most desire. I created the Inner Compass Exercise to help potential clients get off the fence and make the most powerful and aligned decision possible for them. Inside of this download, I share the exact PDF I send potential clients and include a bonus audio to walk you through each step! >>> I’m going to meditate on it! >>> I’m going to journal around it. I know, the horror! Let’s talk about why this is and what can actually be more supportive for you instead. And of course, if you’re hearing potential or currently clients saying these things, this episode will help you lovingly navigate a conscious conversation around it. Yay! Pssssst—Don’t forget to download the exact PDF I send clients who need time to think about it and bonus audio training! 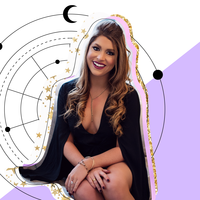 Are you ready to get crystal clear on what your unique magic is that separates you from errrryone else and their mom in your industry? 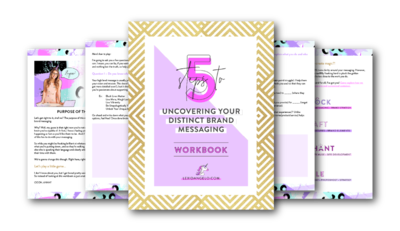 This epic workbook will help you zone in on your distinct messaging + positioning so you can clearly, concisely, and confidently communicate your potent message + expertise to your soulmate clients.